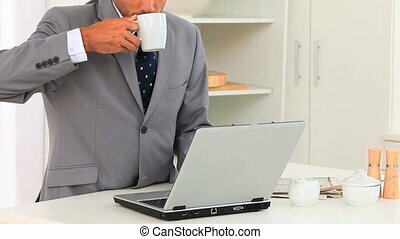 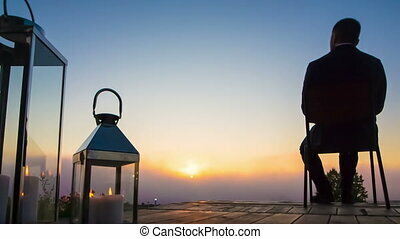 Business man look sunrise on terrace. 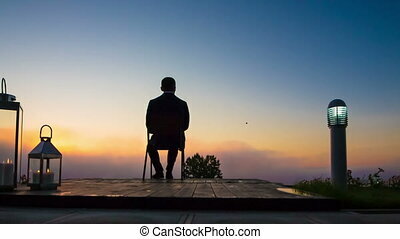 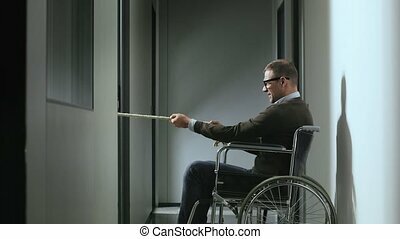 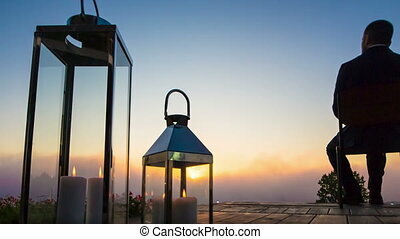 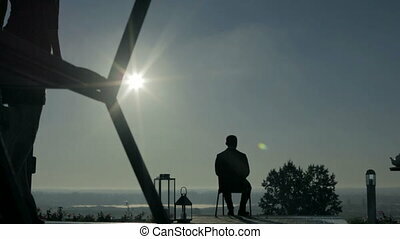 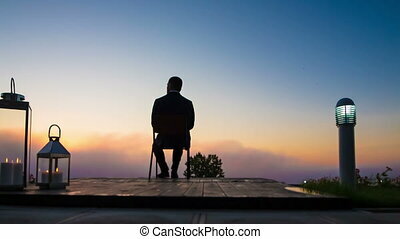 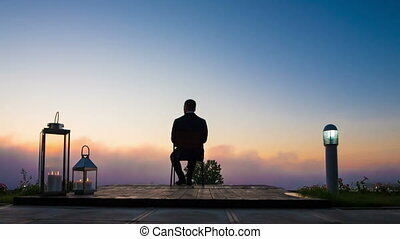 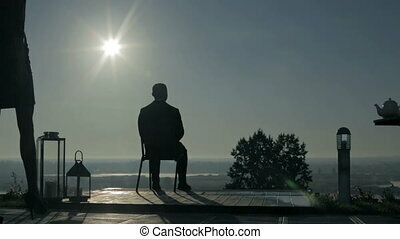 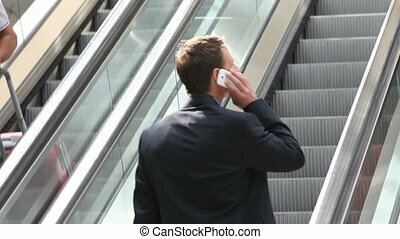 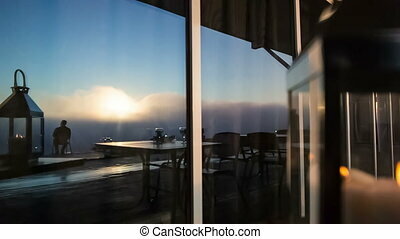 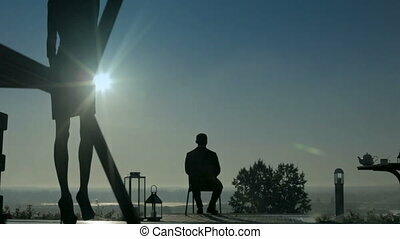 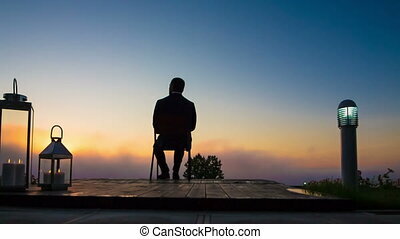 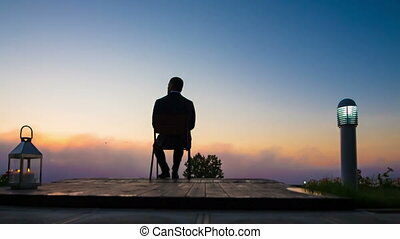 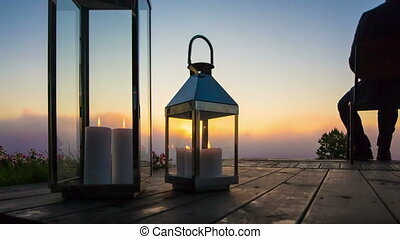 Businessman in the morning on the terrace admiring the sunrise. 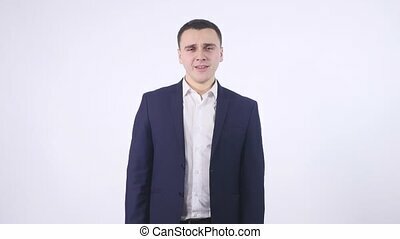 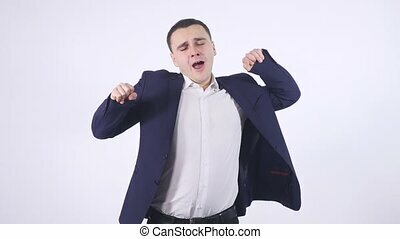 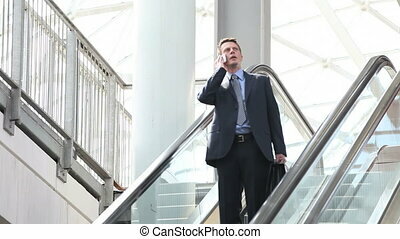 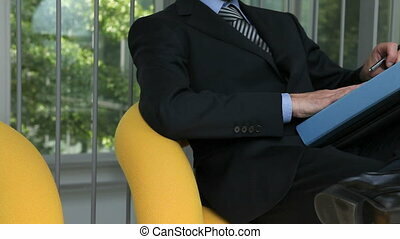 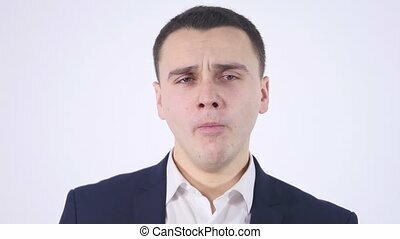 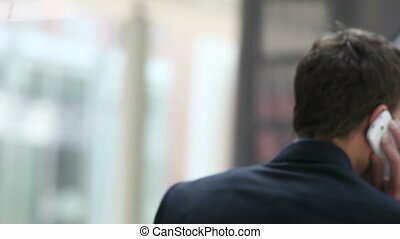 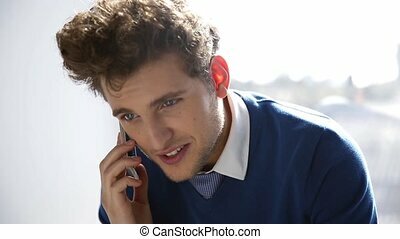 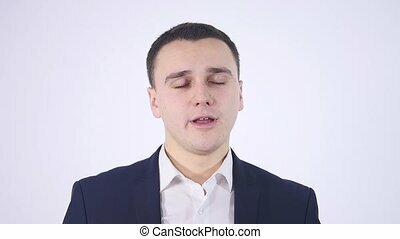 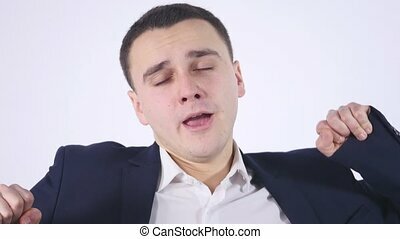 yawning young business man, isolated on white background.